While driving back from Lake Tahoe last weekend, I received a call from a dear friend who was in a very foul mood. He had bailed on all his equity holdings at the end of last year, fully expecting a market crash in the New Year. Despite market volatility doubling, multinationals getting crushed by the weak euro and the Federal Reserve now signaling its first interest rate rise in a decade, here we are with the major stock indexes sitting at all time highs. 1) There is nothing else to buy. Complain all you want, but US equities are now one of the world?s highest yielding securities, with a lofty 2% dividend. That compares to one third of European debt offering negative rates and US Treasuries at 1.90%. 2) Oil prices have yet to bottom and the windfall cost savings are only just being felt around the world. 3) While the weak euro is definitely eating into large multinational earnings, we are probably approaching the end of the move. The cure for a weak euro is a weak euro. The worst may be behind for US exporters. 4) What follows a collapse in European economic growth? A European recovery, powered by a weak currency. This is why China has been on fire, which exports more to Europe than anywhere else. 5) What follows a Japanese economic collapse? 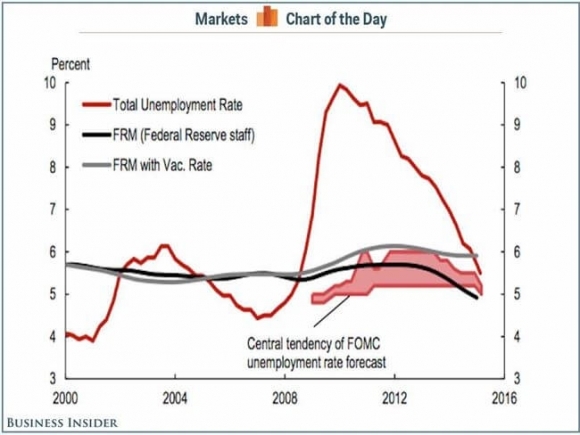 A recovery there too, as hyper accelerating QE feeds into the main economy. Japanese stocks are now among the worlds cheapest. This is why the Nikkei Average hit a new 15-year high over the weekend, giving me yet another winning Trade Alert. 6) While the next move in interest rates will certainly be up, it is not going to move the needle on corporate P&L?s for a long time. We might see a ?% hike and then done, and that probably won?t happen until 2016. In a deflationary world, there is no room for more. At least, that?s what Janet tells me. This will make absolutely no difference to the large number of corporates, like Apple (AAPL), that don?t borrow at all. 7) Technology everywhere is accelerating at an immeasurable pace, causing profits to do likewise. You see this in biotech, where blockbuster new drugs are being announced almost weekly. See the new Alzheimer?s cure announced last week? It involves extracting the cells from the brains of alert 95 year olds, cloning them and then injecting them into early stage Alzheimer?s patients. The success rate has been 70%. That one alone could be worth $5 billion. 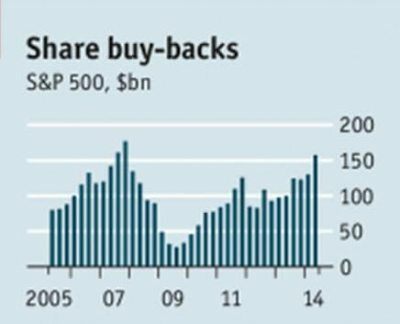 8) US companies are still massive buyers of their own stock, over $170 billion worth in 2014. 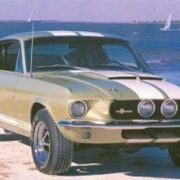 This has created a free put option for investors for the most aggressive companies, like Apple (AAPL), IBM (IBM), Exxon (XOM), Wells Fargo (WFC), and Intel (INTC), the top five repurchasers. They have nothing else to buy either. 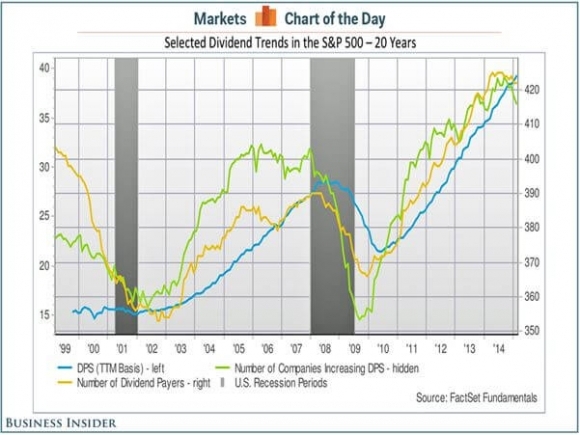 They are jacking up dividend payouts at a frenetic pace as well and are expected to return more than $430 billion in payouts this year (see chart below). 9) Oil will bottom in the coming quarter, if it hasn?t done so already. This will make the entire energy sector the ?BUY? of the century, dragging the indexes up as well. Have you noticed that Conoco Phillips (COP), Warren Buffets favorite oil company, now sports a stunning 4.70% dividend? 10) Ditto for the banks, which were dragged down by falling interest for most of 2015. Reverse that trade this year, and you have another major impetus to drive stock indexes higher. My friend was somewhat set back, dazzled, and non-plussed by my long-term overt bullishness. He asked me if I could think on anything that might trigger a new bear market, or at least a major correction. I told him to forget anything international. There is no foreign development that could damage the US economy in any meaningful way. No one cares. On he other hand, I could think of a lot of possible scenarios that could be hugely beneficial for US stocks, like a peace deal with Iran, which would chop oil prices by another half. The traditional causes of recessions, oil price and interest rate spikes, are nowhere on the horizon. In fact, the prices for these two commodities, energy and money, are headed lower and not higher, another deflationary symptom. Then something occurred to me. Share prices have been going up for too long and need some kind of rest, weeks or possibly months. At a 17 multiple American stocks are not the bargain they were 6 years ago when they sold for 10X earnings. Those were the only thing I could think of. But then those are the arguments for shifting money out of the US and into Europe, Japan, and China, which is what the entire world seems to be doing right now. 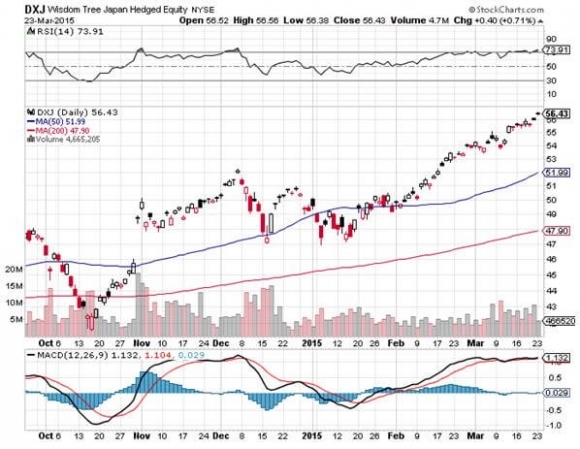 I have joined them as well, which is why my Trade Alert followers are long the Wisdom Tree Japan Hedged Equity ETF (DXJ) (click here for ?The Bull Case for Japanese Stocks?). 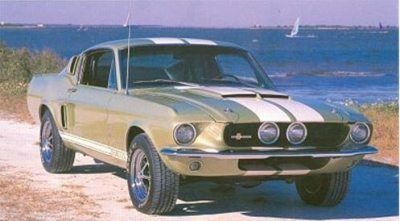 With that, I told my friend I had to hang up, as another kid driving a souped up Shelby Cobra GT 500, obviously stolen, was weaving back an forth in front of me requiring my attention. Whatever happened to driver?s ed? 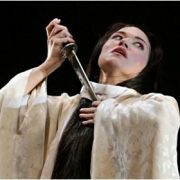 Taking Profits on the Yen?.Again!